You and I must present well. Most people don’t. “Presenting” well is about one’s ability to effectively and strategically manage their moments of output to influence the best outcomes. Those who do this well will always pull ahead and eventually win the chess game of life. Good communication requires preparation. Good communication requires anticipating moments, scenarios, and objections in advance. You have to consider the specific circumstances, situations, and scenarios that have influenced the status quo. Good communication is proactive, not only reactive. But great commuincation is both proactive and then effectively reactive as required. Good communication requires surrending self and embracing others’ needs first. This is counter-intuitive and something most people miss. The Communichology™ approach make this the target to hit. 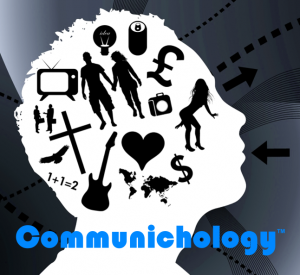 Communichology™ = Where communication and psychology collide. It’s the study of human communication as driven by human psychology. It’s a dynamic discipline studying the artistic and scientific intersection of influential communication skills and persuasive psychology strategies. Communichologists talk shiFt™, and teach how compelling communication skills married with provocative psychological insights produce relevant real-world results. >> Writings HERE. There’s lots of communication skills information out there. This approach is unique because it addresses the underlying and internal human psychological tendencies that run underneath the external communication. In order to be an excellent communicator cross-situationally, one also has to be a student of human psychology… that is… to lean into really learning about how people tend to think , and then act, or vice-versa. It goes beyond just knowing, to truly understanding. It’s simultaneously analyzing the (communicational) skill-set concurrently with the (psychological) mind-set. 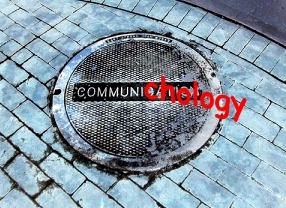 Communichology™ taps into on the psychology underneath the communication. For every what there’s a why that we need to try to understand. Discarding this area is to do ourselves a great disservice in the grand scheme of things. People “see” the world through filters they’ve learned and then layered into their perceptions. These perceptions in turn influence their perspectives which ultimately drive their behavior. Communichology™ goes back to the beginning to finagle the filters that are the fulcrum of this teeter-totter. The psychology is the hardware that’s hard to reprogram; communcation is the software that’s more easily updated. The communication is the largely visible outer body of the vehicle… the psychology is the largely unseen internal engine underneath running everything. We’re all going somewhere. The question is where, and what does that look like (in advance of arriving)? Communichology™ is a way of thinking about and approaching situations… >> before, during, and after the situations arise. Get over yourself by beginning to shut-the-hell-up, and start considering others who also live on this planet, and who have value to offer. Tune-in (awareness & observation) – pay attention to your attention. Empathize (verbally & nonverbally) – let others know that you are aware and care. Contribute (verbally) – be solutions-centric. The content here encourages critical thinking about our communications processes as they interrelate with our psychology. It also equips practitioners with strategies and techniques to apply on the job and at home. I highlight what goes wrong, why it goes wrong, and how to make it right. I use current research data, case studies, and interviews with experts to support the positions and assertions here. Far from common sense, Communichology™ uncovers and discovers critical communications nuances and subtleties that most miss. A lack of these crucial competencies can derail careers and relationships. By applying the strategies and techniques presented here, you gain a plethora of advantages both personally and professionally.